I hope you had a great weekend. The weather in DC was perfection and I for one am looking forward to fall. But, just because fall is here doesn't mean we need to put away certain things. 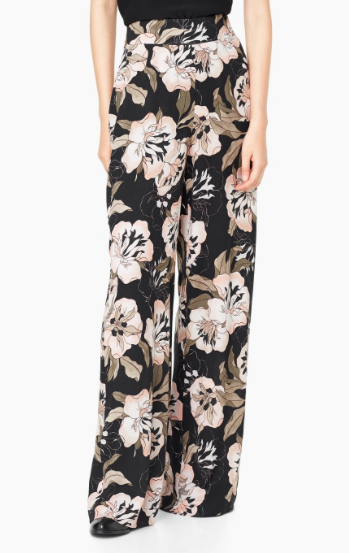 Sure, you can stash the seersucker, but florals? Hang onto those. A few weeks ago we looked at some great floral blazers, today let's look at floral pants. 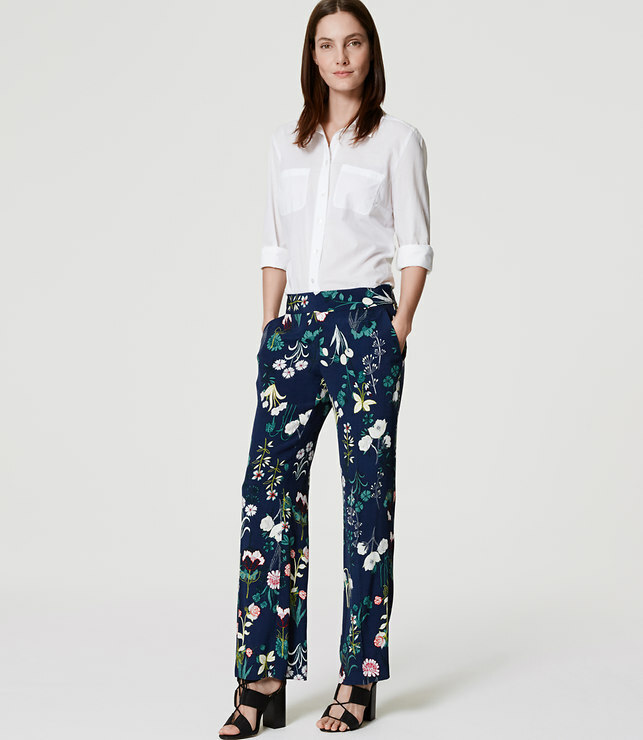 Two words for these pants: heck yes. Structured with pockets and a solid waistband and the colors, oh the colors. Originally $300. 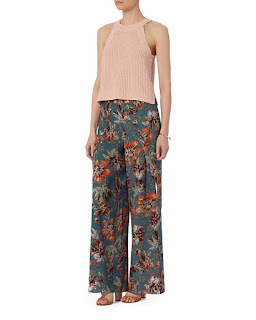 You've gotta get these beautiful pants. Dress them up with a crisp button down and a belt or dress them down with a denim jacket. Simple, effortless, but such an impact. A lovely blend of fall colors. I also like the high waisted silhouette. 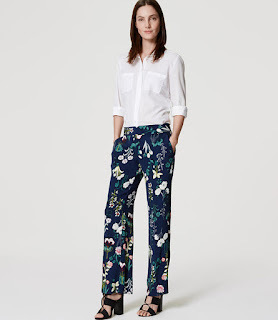 So what it's fall, there's no need to put your florals away. In fact, I dare you pair them with stripes and have some fun with it.